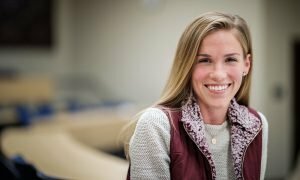 We have dozens of flexible accelerated and graduate degrees available for adults — online, in-person or at one of our Wisconsin regional centers. Fill out this form to get more information. Questions, comments or additional information? Communicate with me via text. Finals are right around the corner and the semester is almost over, which also means Christmas is near! With the holiday season quickly approaching, it’s time to start collecting gifts for your loved ones. No matter who you’re buying for, the bookstore has the perfect gifts. 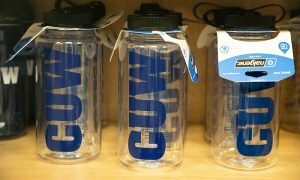 With apparel, drink ware, and even ornaments donning our CUW pride, there is a gift for everyone on your list. Here I have compiled a list of some of my favorite items for a bit of gift inspiration for everyone in the family and beyond. 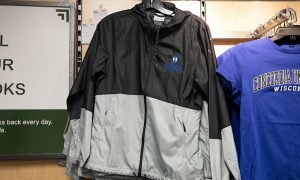 Now your mom can show her Concordia pride with a windbreaker that is just as dependable as her! In a versatile grey and black color block, this jacket screams proud mom. In the same way you can always call mom for help, this windbreaker will always keep her warm and comfortable. No matter when or where, your mom can talk about how much you’re accomplishing at college with this great, practical, conversation-starting piece. 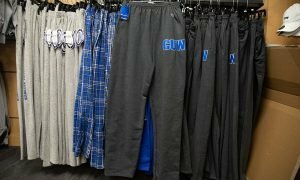 With these cool sweats, Dad can watch the game in style from the comfort of his Lay-Z-Boy. In a dark, masculine grey, with a bold CUW print, these pants are perfect for any and every dad. They’re fleece with an elastic waistband for optimum comfiness. They’re perfect for the chilly winter days ahead! You and your brother may fight sometimes, but deep down you know he’s proud of you. 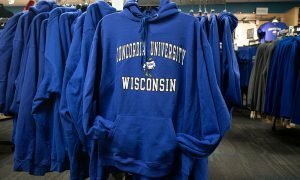 He can show off your school in a classic CUW sweatshirt. In royal blue, this cozy jumper is any boy’s best friend. Freddy’s cameo front and center will definitely impress his friends, too. Whether he wants to or not, he’ll have to admit he loves you after receiving this awesome gift. Maybe the hardest to please, your sister may just be satisfied with this awesome Concordia water bottle. As a workout essential, this water bottle is a fun sporty way for your sister to show her Concordia pride. Help your sis stay hydrated this Christmas with a useful gift she can take from class to practice, repping her sib the whole way. Whether your sibling’s new child niece or nephew, a stuffed animal is a great choice this Christmas. Even though they insist the baby has enough toys, one more can’t hurt. Super fluffy and dressed in an adorable Concordia tee, this little bear is ready for play and may even inspire a future Concordian. We all have someone in our lives who just seems to have everything. 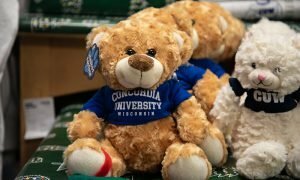 You want to show your appreciation for them with a cool Concordia-themed gift, but you just can’t think of something they might want. 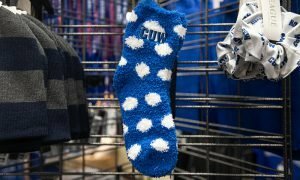 Well, I can guarantee they don’t have some fuzzy, polka dot CUW socks! They’re practical, cute, and they have a touch of falcon pride! Anyone on your list will appreciate this warm foot covering and adorable accessory. Before you part for Christmas break you want to give your roomie a little something to show your gratefulness for them. 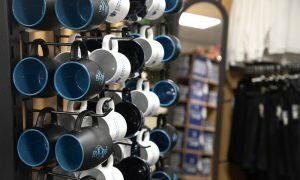 They already have plenty of Concordia gear, and you don’t want to add to their already overflowing closet; this mug is the perfect gift! It’s a classic present everyone loves, and it’s sure to make your roommate smile. With a black body and CUW in blue, this mug is about as solidly Concordian as it gets. Plus, you can borrow it any time you’re in the mood for a steamy beverage. You’ve been adding handmade and store-bought ornaments to Grandma and Grandpa’s collection your whole life. Now they want document your time at college in the story those ornaments tell. 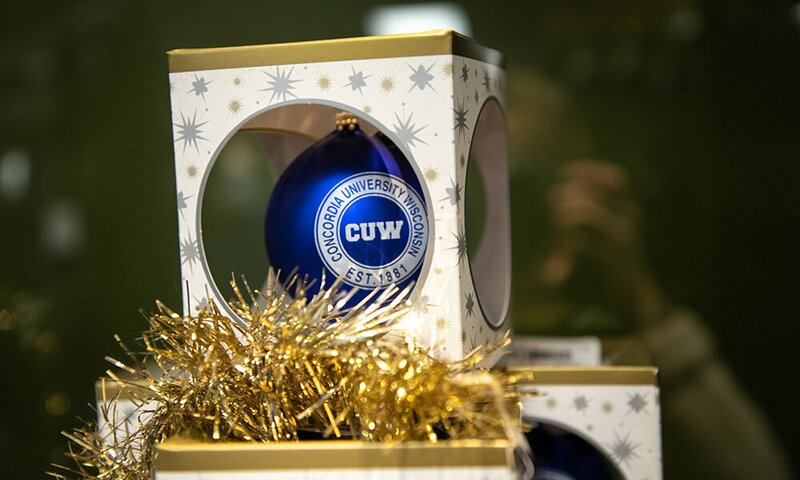 Lucky for you, the bookstore has wonderfully festive CUW ornaments! Whether the classic sphere is your style or you prefer a festive snowflake, there is an ornament for you. 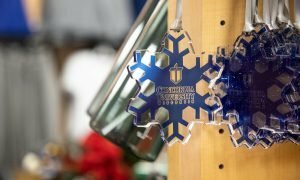 These baubles will ensure even the Christmas tree has falcon pride. The holiday season is one of the most difficult times for families with empty seats around the table. Keep the memory of loved ones passed alive with a legacy gift. 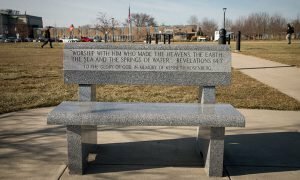 A donation to your loved one’s alma mater could dedicate a hallway, classroom or even a building to their memory and accomplishments here. We are so grateful for our donors and we love to carry on the names of falcons who have returned to their heavenly home. It may be corny, but the gift of education is truly invaluable. 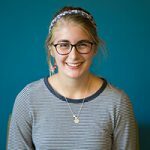 One of the most important gifts we can give ourselves is to work hard to achieve the education we’re here at Concordia for. Whether you’re a traditional undergrad student, a graduate student, or an adult learner, Concordia is an extraordinary place to learn and grow. You can also give this gift to another through the Adopt-a-Student program. The gift of scholarships help many on our campus to accomplish their goals and continue a journey towards their vocation. — Madelyne Arrigoni is a freshman studying English and Mass Communications. She plans to graduate in 2022.